Top Questions to Ask Your Insurance Agent - Harrison White, P.C. Automobile insurance is one of the few things we purchase with the hope that we never have to use it. South Carolina law requires a minimum amount of liability coverage and uninsured motorist coverage, but operating your car, truck, or motorcycle with just the minimum amount of coverage required by law could have dire consequences if you cause an accident and someone else is injured, or if you are the victim of an accident caused by an uninsured or underinsured driver. Your insurance agent should be able to explain the types of insurance coverage and the amount of insurance coverage that will best suit your needs. Take the time to ask the following questions and purchase insurance based not on what may be the cheapest, but what will actually meet your needs if you someday have a claim. Do I have assets that would expose me to individual liability beyond the amount of my insurance coverage if someone is seriously injured as a result of my negligence? Do I want the peace of mind of knowing that if I were to accidentally injure someone else, I have enough automobile liability insurance to cover the damages suffered? The amount of underinsured motorist coverage you can purchase is limited to your liability coverage limit. Your agent should be able to explain this to you. 2. Do I need an “umbrella” policy; and, if so, with what amount of coverage? Umbrella policies provide liability coverage beyond your automobile insurance coverage. If you have unencumbered assets, such as cash, stock, or real estate, you need to discuss this with your agent and make clear that you want to be protected from exposing your assets to judgment or recovery. 3. What amount of uninsured motorist coverage is available to me, and what is the premium for the available coverages? You may purchase uninsured motorist coverage up to the amount of your liability coverage. Uninsured motorist coverage provides coverage to you if you or your passenger is injured by another motorist that does not have insurance coverage. Unfortunately, operating vehicles in South Carolina without insurance coverage of any kind is a practice that is all too common. If you do not adequately protect yourself with your own insurance coverage you could find yourself with no avenue of recovery in the event of a serious injury. 4. What amount of underinsured motorist coverage is available to me, and what is the premium for the available coverages? Underinsured motorist coverage provides coverage to you and your passengers when another driver causes an accident and has liability insurance coverage, but not enough to cover the damages caused by their negligence. Considering that the legal minimum of liability insurance coverage is $25,000.00 per person and $50,000.00 per accident, South Carolina motorists are often underinsured and simply don’t have enough insurance to cover even the medical expenses of innocent injured motorists. Underinsured motorist coverage is optional, but must be offered to you by your insurance agent. I always recommend that my clients purchase underinsured motorist coverage equal to the amount of their liability coverage: the more, the better. I’ve simply seen too many situations where innocent injured motorists are faced with tens of thousands of dollars of medical bills without enough available insurance coverage to provide for their needs. Discussing these simple questions with your insurance agent is worth your time. The additional insurance premium necessary to protect you is worth the expense, and you may be surprised how inexpensive the additional coverage is. 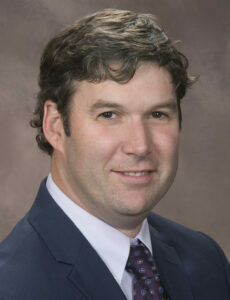 Wes A. Kissinger is a partner at Harrison, White, Smith & Coggins, P.C. He may be reached at (864) 585-5100 or by email to wkissinger@spartanlaw.com. « Can the police search your house or car without a search warrant?